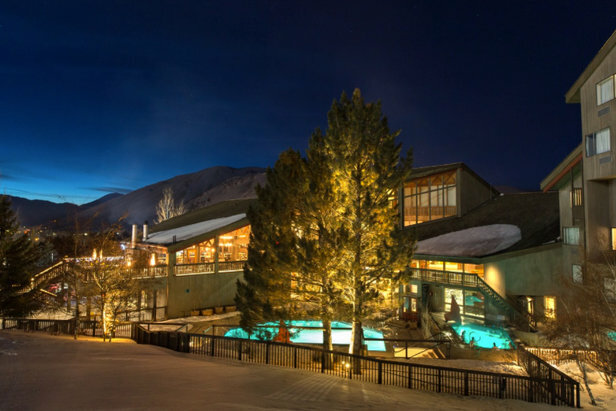 It’s time to take a second visit to several Rocky Mountain ski resorts. 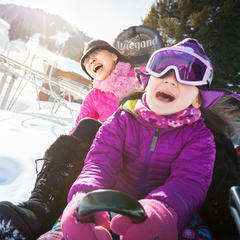 New lifts and new thrills yield new ways to experience the slopes. 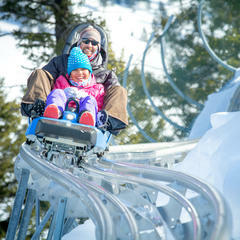 New thrills have come to Snow King Mountain. On the Cowboy Coaster, a mountain track roller coaster, riders can top out at 27 mph. 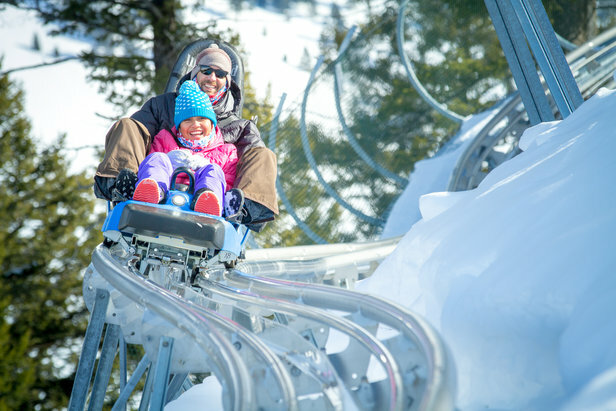 Coaster sleds, which can carry two people, descend about 0.6-mile of hairpin turns and loops. Four corkscrew turns put thrills in the 7-minute ride. 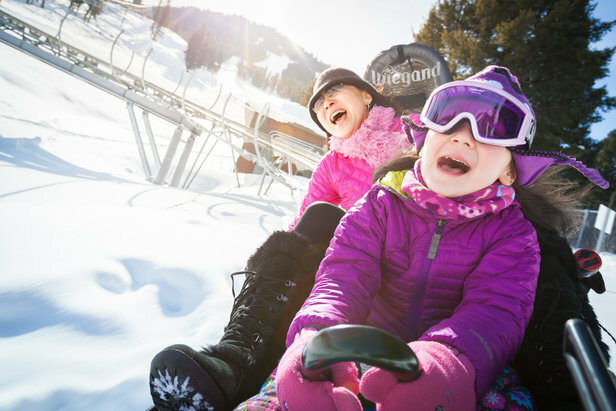 The Cowboy Coaster adds to several family winter activities that stay open into the evening, including tubing and night skiing. Also at Snow King, the Exum Ice Park offers a way to try out ice climbing. Exum Mountain Guides oversee open climbing, rent gear and teach techniques. For skiers and snowboarders, the old Raferty Chair converted to a high-speed quad this winter. The new lift climbs 400 vertical feet higher up the mountain than the old lift, and two new short intermediate runs now descend to previous runs. At the base of the Cowboy Coaster and new Raferty lift, Snow King Resort Hotel sports a new look. The redesigned restaurant and bar now take in snowy views and make use of natural light while a large deck adds outdoor dining. Sitting areas with firepits surround the year-round outdoor pool and hot tub. Makeovers renovated the spa, salon, fitness room, business center and guest rooms. Skiers staying in Grand View Lodge adjacent to the hotel have access to all the amenities of Snow King. Deer Valley’s new ownership of Solitude Mountain Resort has brought a wave of improvements. A new high-speed lift, the Summit Express, replaced a double chairlift, taking the number of high-speed quads at Solitude up to four. The new summit lift climbs 1,337 vertical feet via 19 lift towers and a new alignment. It bumps the uphill capacity to 1,800 riders per hour. Accessing the new lift requires catching the Apex Express from the base area. From the top of Apex, a new run called Summit Access West cuts to skier’s left for a direct shot to the Summit Express. The new quad is also accessible from the Powderhorn Lift by dropping through Cirque, Milk Run and Parachute. From its wider summit platform, the new Summit Express is the take-off for hikers ascending Fantasy Ridge to drop through the famed double-black diamond chutes. It is also the launch point into Honeycomb Canyon for a long, challenging descent. Intertwining intermediate runs descend from the top to Dynamite to reach the lift. At the base of the Moonbeam Express, Moonbeam Lodge saw a revamp. Restrooms were renovated, and a redesign of the cafeteria improved flow. Outside Mesa, Powderhorn Mountain Resort installed its first high-speed quad. 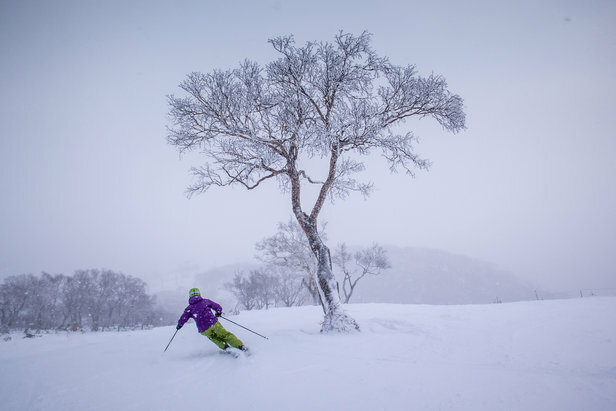 A game-changer for the resort, the Flat Top Flyer replaced a slower, fixed-grip lift. It’s the first major capital improvement from the new owners who took over the resort in 2011. The Flat Top Flyer lops the ride time in half from the old lift. 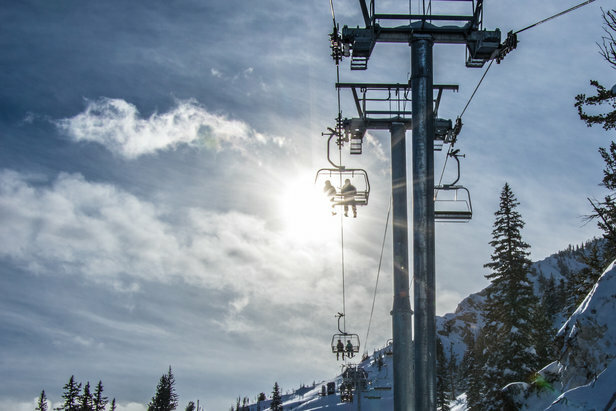 The 6.5-minute ride equates to doubling the vertical skiers and riders can amass in one day. 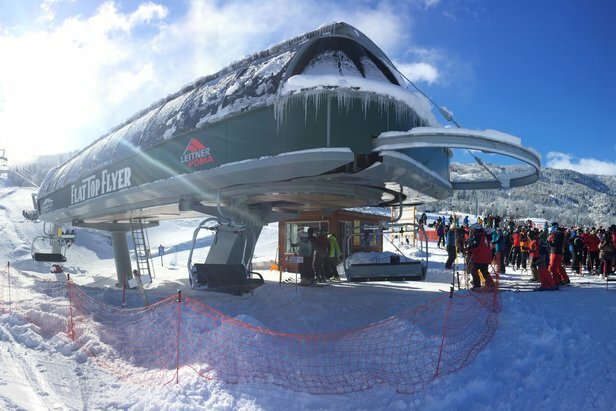 The Leitner-Poma lift climbs 1,650 vertical feet from the base area to the summit, where it tops out at 9,850 feet. Powderhorn launched its first high-speed quad this winter. The new lift is also a game changer to reduce lift lines. Able to convey 2,000 skiers per hour, the new lift capacity increases 20 percent more than the old lift. 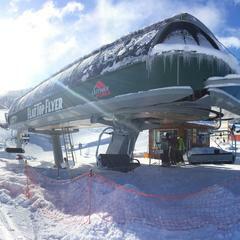 “New lift’s a huge upgrade. Makes P’horn awesome. Worth every penny,” one first-hand iPhone report came into OnTheSnow.com a few weeks after the new lift fired up. 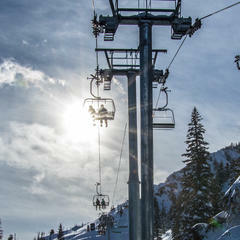 The new lift was part of a $5 million improvement project. The project also doubled the snowmaking capacity, and mountain bike trails will be built for summer lift-accessed biking.